In a feat that has now gone into the "India Book of Records," VIT University, Vellore, student Navaneeth V Ganesh, has become the "Youngest Distinguished Toastmaster" in India and 5th in the world. At age 22, Mr Navaneeth has achieved what no Indian student ever has. After clearing all the tracks that adjudge a participant’s level of achievement in both communication and leadership. 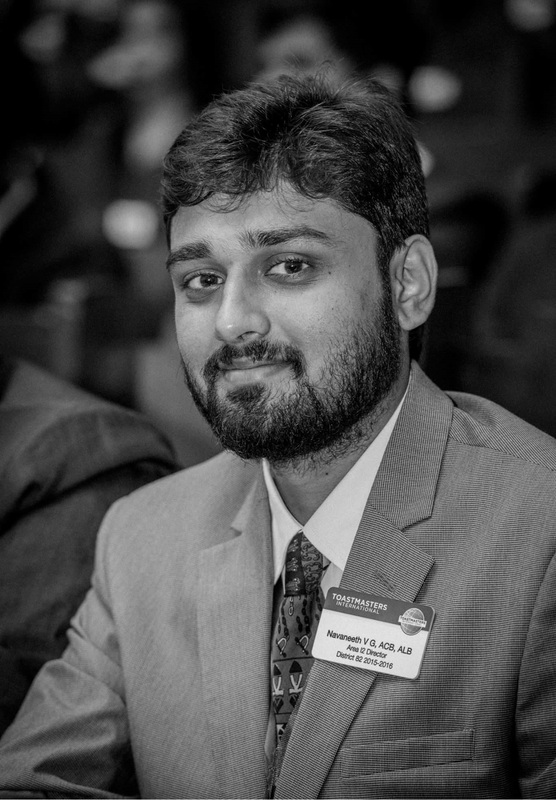 “I joined VIT University’s Toastmaster club as soon as I joined the university, says Navaneeth, who was pursuing an integrated double major course in B.Tech + M.Tech and the MBA programme. The Coimbatore resident has cleared his MBA already and is now pursuing his M.Tech, which he will wrap up by next year. “I cleared all the tracks of Toastmaster within 4.5 years, although it can be achieved in upto a maximum of 15 years,” said Navaneeth. The young genius joins the 15,000 DTMs across the world. “Through this club, I was fortunate enough to get an international exposure and interact with genius minds across the world. I also delivered speeches and displayed leadership skills at various occasions throughout my journey and it has been possible with the continuous support of VIT University,” he said. With a 9 point score (out of 10), Navaneeth did not have to attend all the classes and was given the privilege to simply sit for his exams. “I did not attend classes and only came to give the exams, this gave me enough time to concentrate on other activities such as DTM that helped me develop my soft skills,” he said. He added that because of this privilege and his keen interest in DTM, he was one among, able to take the number of TM clubs from 1with just 9 students to 15 clubs with the total strength of 350 TMs in VIT University. “We plan to take this to small villages in and around VIT University so we can help other students develop communication, leadership and public speaking skills,” says Navaneeth. Having achieved one of the highest academic feats, Navaneeth humble notes that this ‘privilege’ has helped him to not only network with employees of high profile MNCs, but also get job offers and meet leaders of various prominent companies. “Even as a student I got the chance to lead a team of employees from a famous MNC and it is exposure such as this that has helped me though my journey,” he says. Navaneeth now plans to join a startup (based in the UK) as a Business Analyst. “As soon as I got into my second year, I realized that I should pursue an MBA, which I have completed, and so becoming a Business Analyst is a natural progression at this point,” he says. Ask him what his parents think about his achievement and he says, “My father is a BBA and my mother is a B.com graduate, and while both of them do not completely comprehend the scale of my achievement, they are extremely proud of me. They give me complete freedom and that’s why I’ve faced no problem in chasing my dreams,” says Navaneeth. With his future already mapped and his dreams on track, Navaneeth is an inspiration to many students and he humbly thanks his university for playing an instrumental role in his life. Dr G. Viswanathan, Chancellor, VIT University, Vellore, also congratulated the young chap on his achievement. He said, “VIT University is extremely proud of Mr Navaneeth V Ganesh’s superlative achievement. We are happy that we were able to provide an opportunity for him to grow and learn, but we are more happy that he was able to utilize that opportunity to the tee. I congratulate Mr Navaneeth and how to see his scale more heights in the future. I also call upon all students to also lead by example and achieve their dreams, because we as a university will always support and encourage you."